Count the design from the center of the fabric, makes keeping track on the chart a little easier. Approx. 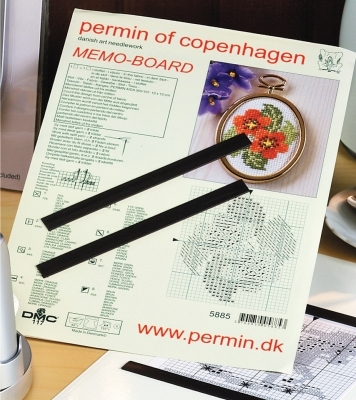 8” x 12” and includes: magnetic board and rulers.